A panoramic Restaurant overlooks the spectacular bay of Maladroxia. We offer our guests a selection of dishes recalling the local and national cuisine carefully selecting high quality and always fresh products. 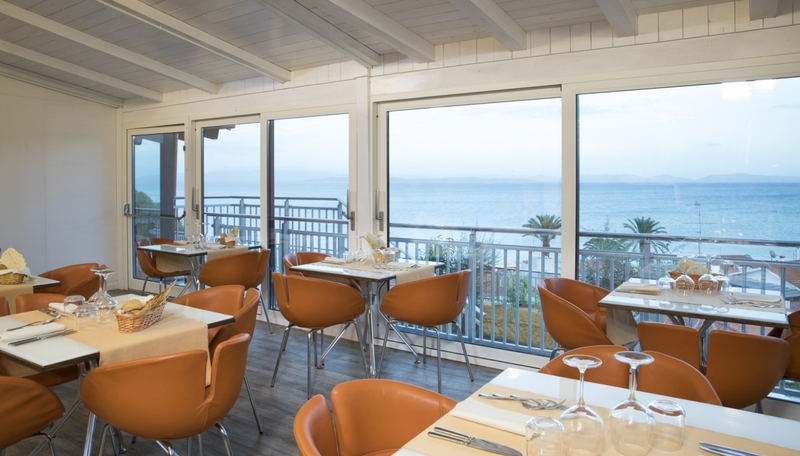 Located on a courtyard, a few steps from the sea and the swimming pool, the bar serves tasty Mediterranean snacks perfect for summer light lunch and breaks. In the evening it becomes the perfect location for romantic dinners or refreshing cocktails in a magical and suggestive atmosphere. Celebrate with us your special moments! We are a perfect location for EXTRAordinary parties! Private events are wecome and will be arranged with the highest attention.